The mid-1960s were a pretty drab time in the English speaking film world, certainly in Hollywood (and a fertile ground in which the wonderfully rebellious New Hollywood would soon take root). A number of the Academy choices in that decade show that Hollywood had a preference for the safe, even when there were more interesting choices to be made. Several of them are indefensible but a few seem more honest mistakes and the first of these is surely that marvelous film craftsman Fred Zinneman’s version of Robert Bolt’s acclaimed play A Man for All Seasons. Man concerns the martyrdom of saintly scholar and statesman Sir Thomas More (played in most dignified fashion by best actor winner and prominent stage actor Paul Schofield) who refuses to go along with the sweeping changes England’s 16th Century King Henry VIII made to church and state in seeking a shaky divorce from Queen Katherine of Aragon in order to marry Anne Boleyn. It was a thoughtful and well-wrought piece of theater and much of it (save for the important Everyman framing device) found its way intelligently into the film version. 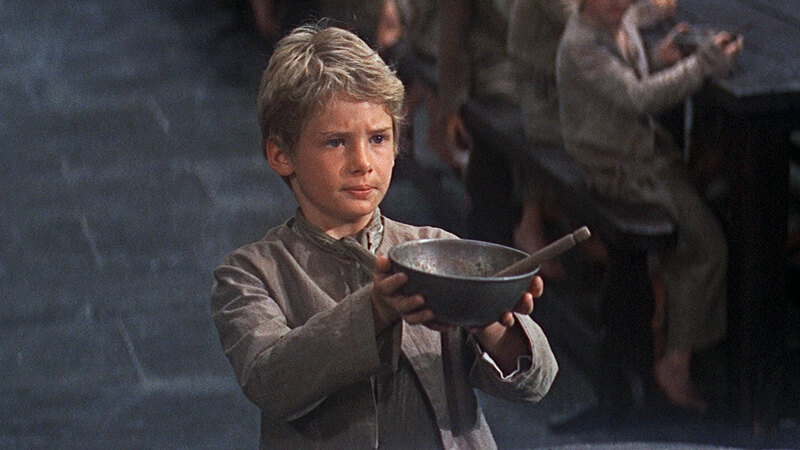 Past Schofield, the cast has a bevy of fine British players such as Wendy Hiller, Robert Shaw (both nominated), Susannah York, Nigel Davenport, a young but fine John Hurt, and the always welcome ham of the US’s own Orson Welles as Cardinal Wolsey. Zinneman was always the most artfully restrained of film makers (sometimes too much so for the tastes of some) and that helps this film enormously. One strike against it with the cinematically sophisticated is the fact that the prominent US critic (and go-to girl for many who wanted to be in the cinematic swing of things) Pauline Kael labeled this effort “a great film for 12-year-old intellectuals”. Many since have found that left-handed and condescending remark to be unfair (and it turns out that she had a fear of anything too dramatic). It should, though, be noted that there were more biting things out there that year, film which seem to presage what was to come. British film makers Silvio Narrazio and Lewis Gilbert gave fine films showing younger people chaffing at the reigns of society in, respectively, Georgy Girl and Alfie. Even more than these two, if one really wanted a film version of a theatrical smash with some life to it, there was the great Mike Nichols’ stunning debut with his version of playwright Edward Albee’s huge game changer, Who’s Afraid of Virginia Woolf? with unforgettable, all-time best work from Elizabeth Taylor (who won an Oscar) and Richard Burton (who tragically and unfairly lost to Schofield, who would have been a great choice in a different year). When set next to this intentionally profane and biting work, the tasteful and careful Man does look a bit staid but, in the end, that does not mean that it is without great worth. Much fine work from the writer (Bolt again), director, actors, and artisans make Man a picture not to be undervalued. In his excellent book Pictures at a Revolution, author Mark Harris examines the films up for the best picture Oscar in that pivotal year which may well have seen the real start of New Hollywood. There was one absolutely deplorable film (Dr. Doolittle, the designated film that particular year for Twentieth Century Fox’s infamous Oscar grubbing and the one which surely stole the nomination from Richard Brooks’ vivid, disturbing, controversial true crime drama In Cold Blood). There was a really rather old fashioned Hollywood film masquerading as a “hip” message film (Guess Who’s Coming to Dinner? predictably the biggest box office hit of the bunch at the time the Oscars were handed out that year). There were two very cutting edge films which are still given credit for helping to launch the new era: eventual best director winner Mike Nichols’ sophisticated and very funny generation gap comedy The Graduate and, even more to the point, Arthur Penn’s drama about social rebellion in the guise of a film concerning a pair of infamous 1930s gangsters, Bonnie and Clyde. 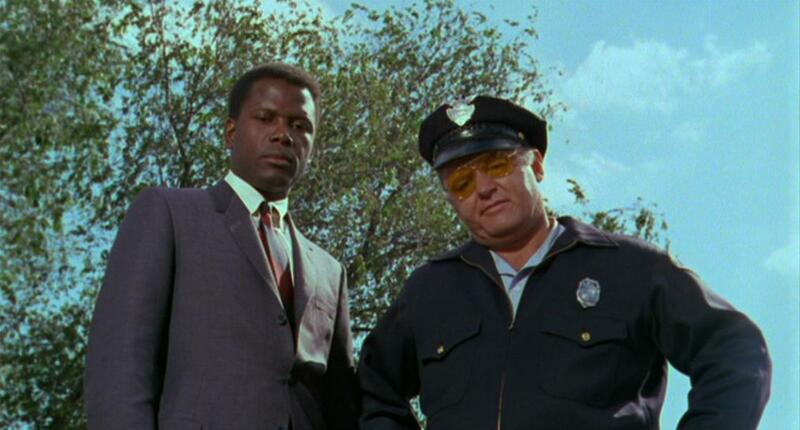 Then there was the winner, a film Harris and pretty much every one else places in the middle of the pack: the murder mystery/ social commentary drama In the Heat of the Night. That veteran film maker Norman Jewison’s film surely isn’t one of the then new wave of films calling to arms a bold new generation of cinema hopefuls it is true, but the film is also a long way from being the kind of prepackaged fare which had largely held sway in Hollywood, let alone the Oscars, in the first half of the 60s. It’s quite telling that two members of Heat’s cast were also in the pabulum filled Dinner and that they were used so much more effectively here. Star Sidney Poitier was employed as a kind of saint/superman who even the most color conscious parents should be proud to have marry their (seemingly feeble minded) daughter. Here is plays a crack Philadelphia based police detective who, by shear happenstance, gets pulled into the investigation of the murder of a most prominent citizen in a small town deep in the US south where his intelligence and race aren’t much appreciated. The fact that he towers over the local sheriff and his company in both sharp knowingness and experience is used both humorously and believably in establishing the respectful working relationships eventually achieved. Also, this time out, Poitier’s character is allowed to show his somewhat justifiable anger in two memorable scenes (one in which he makes plain how he is to be addressed with respect and the other where he gives as good as he gets from a prejudiced local fat cat). Also, veteran African-American character actress Beah Richards, who earned one of Dinner’s few justifiable nominations with her dignified performance as the mother of Poitier’s character, here does much edgier work as an ethics-free, down home, back alley abortionist who happens to hold the key to the mystery’s solution. The cast around them, including Warren Oates, Lee Grant, and Larry Gates is also top notch, though the Oscar given to Rod Stieger’s work as the police chief was probably more an apology for the Academy having gypped him in 1965 for his unforgettable performance in the New York filmed indie The Pawnbroker. On the more deserving side was the editing Oscar given to Hal Ashby, who would go on to become one of the great forces of New Hollywood as a director (though it would have been even better for it to have gone to Bonnie and Clyde’s shamefully unnominated Dede Allen for her revolutionary work). If Heat had won in the early 60s it doubtful anyone would have resented its win. It’s a fine genre picture on the surface that also has something to say and a most professional product. Oscar has done far worse. 1968 was far from a calm year no matter which way one slices it. It was also the year when New Hollywood seemed to start kicking into high gear with fresh and memorable films such as then newly imported European art house director Roman Polanski’s horror classic (and a new direction for that genre) Rosemary’s Baby, actor turned film maker John Cassavetes’ indie hit (now classic) Faces (Cassavetes was also a lead actor in Rosemary’s Baby), and, greatest to many, Stanley Kubrick’s ultra-cerebral science-fiction epic 2001: A Space Odyssey (and a new direction for its genre, too). There were others in that vein but one would hardly know it looking at the Academy’s choices for best picture (and the ones mentioned did get some notice from the group, but nothing that lofty). To modern eyes, the scathing period drama The Lion in Winter (concerning the conflict between England’s King Henry II, played wonderfully by Peter O’Toole, and his embattled queen, Eleanor of Aquitaine, played to great Oscar winning effect by Katherine Hepburn) looks the best of the Academy’s bunch (though Barbra Streisand fans will surely stick up for her starry debut, Funny Girl). The winner of 1968’s Oscar seems to stick in the craw of film fans/students more than almost any other and it may well be one of the most tragic victims of this phenomenon. The story was more or less put to music by songwriter Lionel Bart in a stage version which was a huge hit both in London and on Broadway. This may be the first strike against this film to many for stage musicals and songs (save for the outlier Hair) were considered very square at the time. The film version was produced with an eye towards preserving that stage original (likewise a style not in vogue) with a cast mostly populated by stage performers such as Ron Moody as a most entertaining (if not very Dickensian) Fagin, Shanni Wallis as Nancy, and the juvenile dynamo Jack Wild, promoted from the chorus to the role of the Artful Dodger for this film. (The one player well known to film audiences is a most appropriate Oliver Reed as the brutish Bill Sykes, and he was also, as it happens, the director’s nephew.) The expert hand chosen to guide the film was the renowned veteran director Carol Reed. Admittedly, Reed had seen his best days in the late 1940s and early 50s with his stunning works such as 1947’s Odd Man Out and his masterpiece, 1949’s The Third Man. The 1960s had not been a good time for him but the producers of Oliver! sharply intuited that he would be a perfect director for this project with children so essential to its core based on his uncanny work with very young and sometimes non-professional child actors in such films as 1948’s The Fallen Idol and 1955’s A Kid for Two Farthings. His work here with the nominated Wild (who was widely expected to win), Mark Lester in the much more passive title role, and the large chorus of urchins in the story justified the vote of confidence. Also, Reed was among the most restrained, tasteful and expert of film makers. Oliver! may not be to one’s liking by the very nature of what it is but, much like Going My Way, if it had to be done, it couldn’t have been done any better. Looking at the basic material (and the number of inferior revivals of it on stage), this piece could easily have been sentimental treacle instead of the lively, intelligently paced and entertaining piece that it is. If Reed had someone who was invaluable to him in creating this film, though, it wasn’t a cast member, or any of the crack artisans creating the look and feel of the film but, rather choreographer Oona White. Her work causes the musical numbers to build in a dynamic and very cinematic way which helps to push the film over the line into being a really memorable musical (she was given an honorary Oscar since there is no category for her work). Will Oliver! ever replace the great innovative works which debuted that year? That’s highly doubtful but it is a fine film in its own right. Perhaps the crowd that Oscar night in 1982 should have sensed something when long retired golden age star Loretta Young, herself a recipient of one of the biggest upset Oscars in Academy history (best actress of 1947 for The Farmer’s Daughter when she appeared to be last on the list), came out to announce best picture. Going in the smart money had been on actor-director-producer Warren Beatty’s long gestating passion project Reds, an intelligent epic about American journalist John Reed, who so identified with and wrote so extensively about the Russian Revolution that he is the only American to be buried in the Kremlin. However, the film was actually a bit indifferently received by critics and public (it had the bad luck to finally come out during a particularly tense moment in US-Soviet relations). That night, outside of Beatty’s directorial win, along with wins for supporting actress Maureen Stapleton and the legendary cinematographer Vittorio Storraro, the film did not do well. Then there was the public’s darling, Steven Spielberg’s big, big comeback from the disaster of 1941, Raiders of the Lost Ark, which still looks to be the best made of the bunch in certain ways but the Academy would never reward such a piece of populist cinema. There was also prominently on display the critics’ darling, Atlantic City, by far the finest English language work of the great French director Louis Malle (and, if there had been any justice, Burt Lancaster would have won best actor for it that night). Popular and sentimental, but a loss less to be regretted, was the play adaptation On Golden Pond with its historic teaming of Henry Fonda and Katherine Hepburn netting them hard to take Oscars (though the dying Fonda was way long overdue). Perhaps all of these films which possessed some of the elements traditionally needed to win best picture, but none with all of them, left the door open for the little art film from Britain which did win. 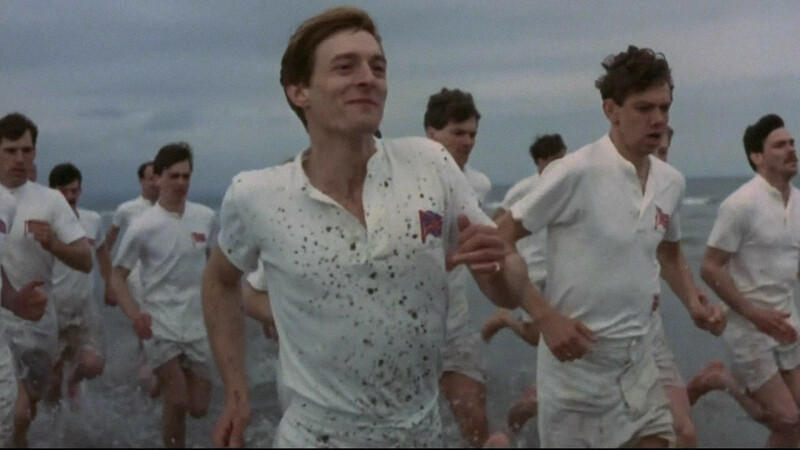 Chariots of Fire is the type of film the discerning viewers quite often find, recommend to friends, then lament when so few go to see it. Chariots could be termed a “sports film” except that the sport (running) is really a backdrop to the real issue of the runners and the reasons they are running. The setting is the Olympic games of 1924 and the focus is the team of runners representing the UK in those games. One runner is a proud Jewish man (Ben Cross) running as much as anything for the dignity of his much put-upon race (and finding discrimination even in this rarefied atmosphere). The other (Ian Charleson) is a devout evangelical Christian who won’t do anything that violates his faith, including running a vital race on Sunday. As in real life, the two men never really intersect much less race one another (which would have been a bit illogical under the circumstances). This, then, is quite subtle for a sports film and a fact many of those who went to see it due to its Oscar win had to wrap their minds around (and this fact is a compliment to the film). Among this film’s virtues are a sterling, mostly British, cast (including Nigel Havers, Alice Kringe, John Gielgud, director Linsey Anderson, and Hollywood’s Brad Davis and Dennis Christopher as competitors, with a short but fine and nominated performance by British vet Ian Holm). The sets and costumes are also impeccable, as is the direction of Hugh Hudson (who didn’t have much of an international career but does a fine job here). To many, though, the most remembered element is the modern, yet timeless, sounding, very fresh score by Greek composer Vangelis (who looked to have a bigger career but did deservedly win that Oscar night). Chariots isn’t really a crowd pleaser and it beat out some that were and was on the critic’s good list but not the darling some were. However, it is still a fine little gem. Those who were around at the time with good memories might recall that when the charming period comedy Shakespeare in Love, a product of the innovative indie company Miramax, which at the time seemed to deliver cinematic goodies daily, first came out, it was much loved by public and critics. That love lasted into the awards season, even with leading lady Gwyneth Paltrow racking up one rather dubious honor after another (and, with unintended hilarity, adding yet another dead or dying relative to each acceptance speech). However, that love ended on Oscar night when the film scored another of Oscar’s biggest upsets when its name came out of the best picture envelope. Going in that night, it was an assured thing that Steven Spielberg’s serious-as-a-heart-attack World War II drama Saving Private Ryan (which, in all honesty, he and his associates treated with almost comic solemnity) would win. It wasn’t just that a prestige film which would have been a sure winner most any year lost, but why it lost. OK, despite Spielberg’s later day sense of self-importance (surely penance for his many years of making good films people actually liked), Private Ryan should have been in the winner’s circle (and the director himself was that night). OK, again, Weinstein and his little tricks were bad stuff and stained the Oscars a bit (but also did put some deserving winners on the record as well). All that being stated, Shakespeare is still a lovely film. The script by the acclaimed playwright Tom Stoppard and Marc Norman is a vastly amusing fiction based of what might have happened in the life of young William Shakespeare, showing what helped to create more than one of his immortal plays (ending with an enchanting and haunting look forward to The Tempest). Though not made on a huge budget, the work by the film’s artisans gives it a wonderful and most convincing Elizabethan London atmosphere. Though Joseph Finnes is a bit blank in the title role (he was not nominated for anything and no one seemed to think it odd at all) the cast (Ben Affleck notably excepted) is wonderful. Those Miss Paltrow may not have really deserved all of her trophies (sour grapes loser veteran Latin American actress Fernanda Montenegro actually said that she was the weakest on the list! ), she is still a most engaging heroine. 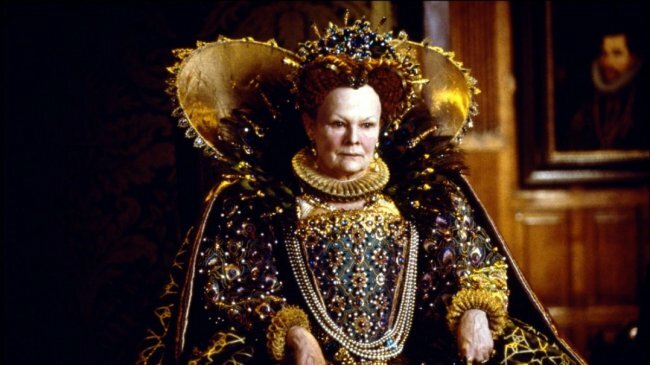 There are substantial contributions from Geoffrey Rush, Colin Firth, Tom Wilkinson, Imelda Staunton, Martin Clunes, and the Miramax good luck charm Judi Dench as Elizabeth I for just a bit. It must be admitted that Dame Judi’s win for her six-minute cameo caused almost as many hackles to be raised as the film’s win (not that anyone in their right minds would object to the worthy lady having an Oscar per se). However, she is and was always a worthy performer and the film for which she won, which might not have been the very best (and director John Madden is decent but no Spielberg) but is worthy as well.